Hilarious ads have gone up in New Zealand, for Sky TV's Alien Versus Predator movie night. 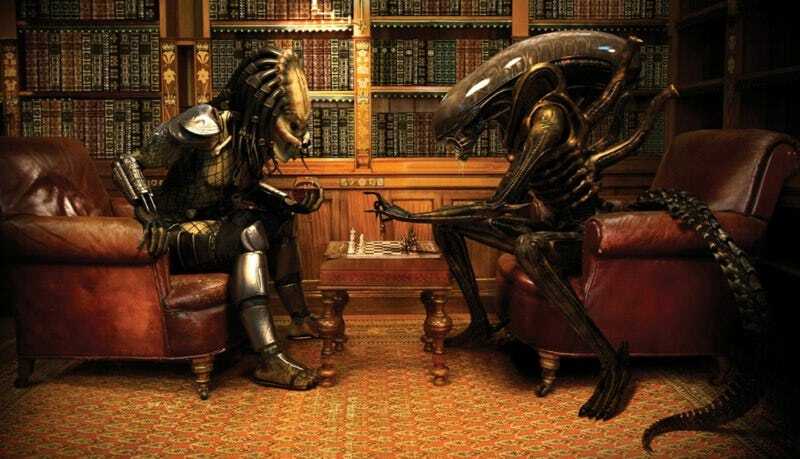 See the implacable extraterrestrial foes square off, at swing ball, chess and pool. This are just superb, all I need now are Alien and Predator bathroom hijinks portrait and I'm set.